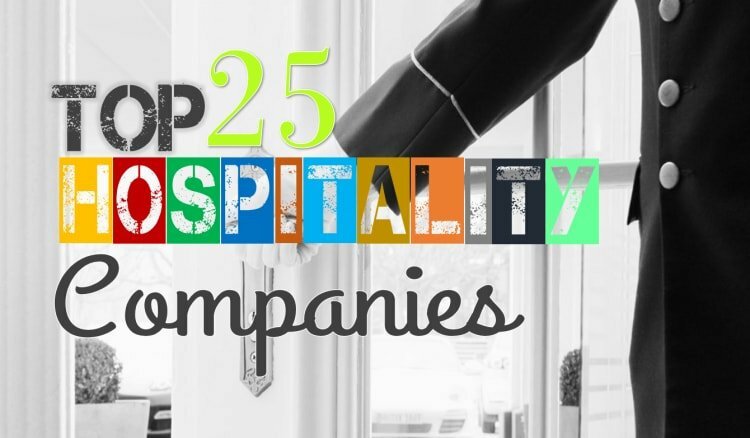 In this post, we bring to you some of the top hospitality companies in the USA. These include most of the best hospitality companies in the world as well. The listing has 25 of the top employers in the hotel industry and hospitality industry in the USA. This article provides information about the companies and links to research about the company and jobs further. Before we get to the list, do you know how much did the hospitality industry of U.S.A generate by the end of the year 2015? The answer is 1.6 trillion dollars. Yes, that’s true! What more? 8.1 million People got jobs in this industry. Isn’t that amazing? Many hospitality companies are heading towards nonstop success and towards a tough drive to become the best. These companies strive to meet customers’ demands, adapt to changing market outlook and prospect and are continuously changing our perception of service. This is not an exhaustive list and not in any ranking order. We will keep on adding more companies to the list for better user experience and to make it more informative. A lot of these hotels also encourage people from other countries to visit the USA and work for them for cultural exchange programs and internships. Our other post on J1 Visas makes an effort to provide in-depth details about the J1 visa and the frequently asked questions by aspirants from the Hospitality industry. American Cruise Lines – Luxury accommodation, a cuisine of choice, gaming, entertainment, casinos and much more. There is a lot on offer in the cruise experience provided by American Cruise Lines. American Cruise Lines through their luxury additions are redefining luxury. From personal balconies to state of the art facilities to an exclusive fine dining experience; you have it all here. With 35 Cruises in action, American Cruise Lines make sure that there is no segment of the market which is left unattended. Alaska and Pacific Northwest, Mississippi river cruises, Special Themed Cruises and more. ‘American Cruise lines’ is the winner of World Travel award 2015 for being North America’s Leading River Cruise company. This firm is an all-American affair and thus inviting job seekers predominantly from North America. It provides exciting opportunities on board and also at the corporate headquarters. Artisans of Leisure – This tour and travel company based in New York organises tours and travels to more than 60 countries worldwide. Operating in Luxury hospitality sector, this company that opened in 2003 has made rapid strides since its inception. Artisans of Leisure is known for their customization prowess for a better experience of their luxury audience. They claim to customize to make anything possible to all their consumers. It is one of the most popular and ever-expanding travels and tour company. This has become a company of repute and those from travel industry may fancy a stint at this organization at some stage of their career. Best Western – It is a conglomerate of 4100 independent hotels. The USA has over 100 Best Western Properties. Name a place in the USA and you will find a Best Western property right there. If you are a traveler and looking for some classy hotel that might not be extremely heavy to your pockets, you can rely on Best Western. If you are a job seeker of the hospitality industry, you can look for versatility in this chain. Best Western is a well-knit community and it is rather easy to move within the chain with excellent perquisites and smooth career progression schemes in-house. 21c Museum Hotels – 21c is redefining luxury by mixing Hospitality with contemporary art. Who doesn’t love art and when it mixes with Hospitality and that too in a Luxury niche, what comes up as a result is 21c. Bringing Museums to life is what they believe in. With 4 Luxury properties already fascinating the customers in the USA, stay poised for much more in future. Awarded with a lot of Laurels for its art, luxury, hospitality and Green commitment, this organisation has covered a lot of ground quickly and has planned to open 10 more luxury boutique hotels within the next 5 years. 21c Museum Hotels is known to generate a lot of jobs for talented and hard-working individuals. They truly believe in the concept that employees are the biggest assets. Dynamic team and fun environment are how they define work at 21c Museum Hotels. They also offer highly paid full-time jobs and believe in creating a culture of promoting team members for excelling in customer contentment and luxury services. Gaylord Hotels – This is of particular interest for those associated with events and conventions. Gaylord Hotels are part of Marriott International and have 4 large hotels with an attached convention center. Due to the size and super busy convention center, Gaylord hotel has a big workforce and offer excellent salary packages, promotion plans, holiday trips etc. Marriott International – It is Hospitality company of stellar repute with over 9 decades of hospitality services attached to the name. Headquartered in Maryland, USA, Marriott International has over 4500 classy properties in almost 90 countries. It is considered to have one of the best career progression plan and training schemes in the hospitality industry. With a turnover close to $ 15 Billion annually, the firm is one of the high flyers of the hospitality world. Who would not love to have the Marriott Experience either as a guest or as an employee? Carlson Companies – This is one of the largest privately owned companies in the USA. With its several global hotel chains, it operates in almost 150 countries. Some of the important names that are associated with Carlson Group are Radisson, Park Plaza, Radisson Blu, Park Inn, Country Inn & Suites etc. Carlson is one of the biggest names in the hospitality industry and one of the most popular hospitality companies to work at. With the reach of its Hotels and the sheer number of employees involved, what bundles up well is an excellent recruitment and appraisal process utilized by Carlson Companies. 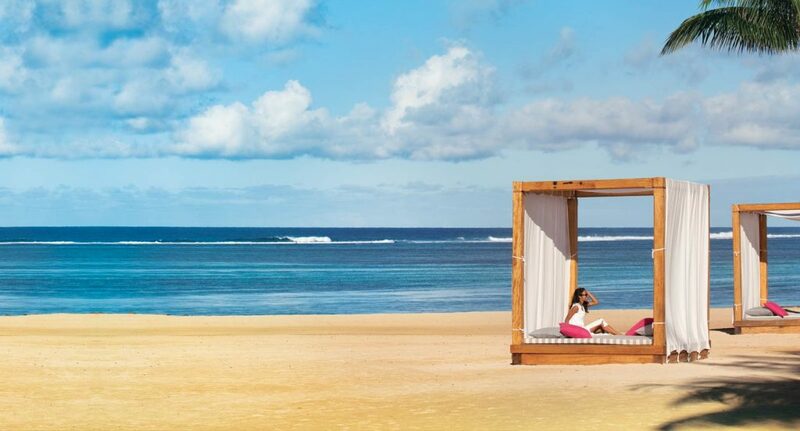 Outrigger Hotels & Resorts – This Company runs a line of multi-branded hotels. The company that started with a humble beginning from Hawaii has built a name for itself in over 6 decades of its existence. It has an excellent network of excellent hotels and resorts in Hawaii islands, Indian Ocean and Asia Pacific. They award their employees with great benefits, offer fun and family environment where you will be encouraged throughout. Amazing benefits are provided that includes excellent salary packages, dental and medical insurances and lots more. What attracts most is the corporate culture they have developed over the years. They keep it simple “Host+ Guest+ Place”. Crown American – Yes, a real estate firm. This has found a place in our list of top hospitality companies of USA because it deals with a lot of hotels. One may argue that all real estate companies may belong to the hospitality industry as most of them in some way or the other deal in hospitality services. Crown American Associates is, however, a large US firm which has a history of over 40 years in dealing with the hospitality industry. It has two properties of Holiday Inn underway at the time of publishing of this post. Why would this place be a top hospitality company to work for? There are ample reasons for the same. Well, they have paid holidays, on the job training, retirement benefits, flexible working schedule, ESOP, Crown American Hotel discount program and much more. Extended stay America – If we speak about the hospitality industry, we can’t keep aside the travel operators and Hotel aggregators. With a reach of over 700 destinations in USA and Canada, Extended Stay America is one of the favorite sites for booking extended lodging for all travel categories. With almost 70,000 rooms in close to 650 hotels, Extended Stay America has a lot of exciting career opportunities for Hotel Management professionals, housekeeping department and corporate hospitality. Hyatt – This Chicago-based Hotel Corporation is no new name to any of the hospitality industry professional or travel enthusiasts. Hyatt Corporation Worldwide portfolio consists of almost 600 hotels worldwide. A lot of these are luxury 5-star properties with a selection of hotels catering to luxury business travelers. According to Fortune Magazine, Hyatt was named the 47th best company to work in the USA in 2016. Hyatt is thus one of the top hospitality companies in the USA as well as around the globe. Hyatt has also been able to have a great talent retention ratio when compared to the industry average. Have a Look at the details of Hyatt along with the Best Hyatt Hotels to know more about this chain. Carnival Cruise Lines – Think of Cruise Ships, think of Carnival. The portfolio they possess consist of Carnival Cruise Lines, Holland American Line, Princess Cruises, P&O Cruises, Costa Cruises etc. among the major cruise lines. Covering 6 continents and almost all major destinations around the globe with a coastline, this company is one of the favorite hospitality companies in USA and across the globe. Working at Carnival Cruise line is considered extremely prestigious and they have on offer salaries and perquisites unparalleled in the Hospitality industry. They offer jobs both on board and at their corporate headquarters. Hilton Worldwide – A dream by Conrad Hilton to have a hotel chain in the USA has now become a name that is synonymous with Hospitality worldwide. Hilton Worldwide now has a presence in more than 90 countries with almost 4500 properties. From 2015 Hilton Worldwide plans to add 1 hotel every day to its portfolio. The group consists of the deluxe Waldorf Astoria Properties, Hilton, DoubleTree by Hilton etc. among the 13 brands under its portfolio. Luxurious Waldorf Astoria has found another heading under this list of hospitality companies of USA. They have excellent career options in place with free career education and training courses for employees. Even sabbaticals for knowledge gains is actively promoted at Hilton Worldwide. As a US-based Hotel chain, Hilton Worldwide has numerous properties in the USA and covers almost every city. Waldorf Astoria – This hotel chain is a part of Hilton Worldwide Brand. The iconic hotels of Waldorf Astoria around the globe add to the luxury element of Hilton Worldwide. Hilton sold Waldorf Astoria New York to a Chinese firm in 2014 which made it the most expensive hotel to be sold. This iconic Hotel in New York has a history dating back to 1893 as the first building got demolished making way for the Empire State Building. The current 43 storey building has over 1,400 rooms and staying at this hotel is to experience a luxury unmatched. This is a place preferred by the Dukes, Business Tycoons and Celebrities. You need to earn your place if you want to be a part of this iconic Hotel or the hotel chain. They believe in the growth and development of individuals from all areas to meet their customer’s needs. Once hired, you are trained for your job and tremendous developmental courses and programs are arranged for you to improve, develop and boost your skills for further development. Howard Johnson’s – It is a chain of Hotels, motels and restaurants across USA and Canada. With its parent organisation as Wyndham Worldwide, Howard Johnson’s has a global outlook. It was founded in 1925 and has a great local appeal in all of its properties. Operating in close to 400 locations in USA and Canada, it is also one of the favorite local hospitality employers with a global reach. La Quinta Inns and Suites – A chain of limited service hotels, La Quinta Inns and Suites are a popular name for business and Leisure travelled in the USA, Canada and Mexico. With close to 900 hotels in the USA, Canada, and Mexico, La Quinta is within easy reach for business, budget or leisure travelers. Moreover, they also have an app that makes booking and reservations extremely simple and user-friendly. Lenox Hotel – ‘A smile tells you, you have arrived’ says the punchline of The Lenox Hotel in downtown Boston. This is a family owned Hotel by Saunders Hotel Group. It has to be on the list of top hospitality companies as it belongs to the historic hospitality community of USA. Standing tall from 1900, this upscale Hotel has a history of superior hospitality. They believe in the best and hire the best with excellent remuneration on offer. They provide opportunities in all hospitality segments like Engineering/Maintenance, accounting, Housekeeping, Food and beverages, front office, Human Resources, Administration, Marketing, Customer Service, I.T, Sales, Spa, and loads of other areas. They also reward with great benefits, providing with multiple leadership exposures. Starbucks – You might be sitting in a Starbucks outlet while you read this post. Such is the expanse of Starbucks across the globe. Starbucks is an American coffee company and the largest coffee chain which now operates across the globe. Think of coffee in the USA and you will find a Starbucks outlet. They are present in over 13,000 locations in America and close to 25,000 locations worldwide. Starbucks is considered to be one of the best hospitality employers across the globe let alone the USA. Team work, interpersonal skills, strong ethical values, and cooperation are a few of the many things that are of given a lot of importance at Starbucks. McDonald’s – The list would have been incomplete had we not include McDonald’s in the list of top hospitality companies. They deserve to be on the list of top hospitality company and top hospitality employers in every list and for every country, let alone the USA. McDonald’s originated from the USA in 1955 and they have ever since fed the whole world. The chain employs over 1.75 million people directly. It is one of the Biggest Fast Food chains in the world. The proximity to Corporate headquarters does make McDonald’s USA an employer of choice for many hospitality professionals. Accor Hotels – With a history of over 50 years, this worldwide hotel chain has over 10 Novotel and Sofitel in the USA. May it be New York, Los Angeles, Miami or any other major city of USA, you will find an Accor Hotel for sure. The Chain has budget hotels like Ibis, mid-scale to luxury hotels like Mercure and Grand Mercure, to pure Luxury brands like Sofitel. Accor is a French Hotel Chain and one of the most reputed ones. It operates in over 90 countries and has close to 4000 hotels in its network worldwide. Employee retention is quite high with Accor as they have several appraisal processes in place for engaging and retaining the right talent. They also have an excellent setup for various hospitality services. Swissotel, Raffles Hotels, and Fairmont Hotels are soon to be a part of Accor Group. The merger is to be finalized sometime in 2016. The merger will increase the attractiveness of this group further for prospective hospitality job seekers and will provide more options to the regular users of Accor facilities. Grand Bohemian hotel – Rated as one of the best hotels in Florida, the upscale hotel in Orlando has a lot to awe its visitors. Part of Autograph collection hotels, this hotel finds itself high in repute under the Marriott’s umbrella. There are other Grand Bohemian hotels in the chain which are unique and boutique luxury properties. You need to be best in the hospitality industry to land up job in Grand Bohemian properties. Apart from the luxury experience, there is a Marriott exposure as well for the taking. They provide competitive salaries, paid training etc. You need to explore and bring new things to make changes and step up. Las Vegas Sands – With more than 40,000 employees and a revenue of over $15 Billion, Las Vegas Sands is one of the top hospitality employers of USA. It is an American Casino and resort company which operates predominantly in the USA but also has properties in China and Singapore. The Hospitality industry is well aware of names like Venetian and The Palazzo in Las Vegas. These are huge Hotel and Casino properties with iconic architecture and an unparalleled name in the hospitality industry. The Venetian Macau, Sand Macau and the iconic Marina Bay Sands in Singapore are a few more names associated with Las Vegas Sands Corporation. And, this is not all. The Sands Expo and Convention center is a brand in itself. Some of the finest Casino hotels, a brand to boast about, excellent pay, training and perquisites and a chance for international exposure; all make Las Vegas Sands Corporation one of the best Hospitality companies of USA. Airbnb, Inc. – A dream that started in the Silicon Valley 8 years ago, has expanded to over 190 countries and has reached almost 3,500 cities through its over 1.5 million listings. It is a website that has been developed to revolutionise lodging and this concept is being imitated worldwide. People can find and rent lodging on this site and it’s extremely user-friendly. The Start-up culture has not changed and the company still continues to be a fun place with quick chances of promotion and some serious work involved. Airbnb has initiated a chain reaction leading to a lot of other promising Hotel and Travel startups. It is one of the employers of choice in the USA for Travel and Tourism industry professionals. Four Seasons – Four Seasons doesn’t own many of the hotels and has management contracts for running Hotels developed by real estate giants. However, it is a very familiar name if you belong to the hospitality fraternity. This company has been ranked among the top 100 best companies to work at ever since it started operating in 1998. It has a Laurel attached to its name for having one of the lowest employee turnovers in the hospitality industry. While the company is Headquartered in Canada but, also has a good market in the USA, thus making it an indispensable part of our list of top hospitality companies in the USA. They hire people with innovative ideas who have a passion for excelling in the Hospitality industry and giving something new to the hospitality industry. The team members here are all made of the same hospitality DNA. They believe, working in a diverse work culture. They hire skilled people to serve their customers with utmost importance and have excellent salaries, travel benefits, Health membership cards, holiday packages etc. to offer. Kessler Collection – When we are listing top hospitality companies in the USA, we will always have companies who are associated to Luxury. Kessler Collection is another American firm which has excelled in providing luxury hospitality experience to its customers over the years. Associated with Bohemian Hotels, this collection has 10 luxury properties associated with its brand like Castle Hotel of Orlando, Kessler Canyon etc. As a popular career destination for hospitality job seekers, they offer excellent packages together with health and dental insurances, life and disability insurances, prescription plans, In-house training center, dining opportunities and concessions, tuition reimbursements etc. Hope you liked the collection of top hospitality companies in the USA. We have skipped a couple of large international hotel chains headquartered out of USA to make this post as much US-centric as possible. We will try and keep adding to the list while adding information for individual hospitality companies in the USA mentioned in this post. Look out for country-specific posts on our website or explore career websites of top Hotel chains worldwide.